I got my Turkish spindle about a year or two ago and am loving working with it!... I am spinning up some of my Angora from Butter Ball my 75% English 25% Satin buck and am so loving the yarn! I use my Turkish as a supported spindle so, it makes it a lot easier to spin Angora, because it is so slick. I just want to touch on a subject that a lot of people have a misconception about... People often think that if you are young and selling hand-made goods that you will offer your items for below average prices and that if you don't you are simply out of your gourd! In some ways I agree with those folks but in others, I definitely disagree... I do agree that some children or "tweens" even teens should have lower prices... But with that I also see how some teens and some younger ones are really good at what they do and if they are experienced and make quality products then they should match their prices with the quality, the time it took them to make that specific product and how much the tools and supply costs. Sadly, a lot of folks don't understand the time and work that goes into each and every hand made item, which makes it hard to for people to see the value. My brothers and I have both seen this in our own endeavors, and I am sure we will see more and more people not understand hard work whether it be things in the yard/garden, animal care or hand made goods. We try our best to feed our animals the best way we can, and yes, it is hard but, I feel that is the closest way we can mimic the way the Lord set up his creation, not with pre-made pellets and salted/sprayed hay but with a variety of grasses, herbs, tree bark and fresh air. Not ammonia filled air in a shed with rabbits stacked several feet high. That is why we charge a higher price for our rabbits, although it is not as much as some. I have still had people ask "Would you consider lowering the price (other babies are being sold for $20!)?" that is when we need to remember the saying, "You get what you pay for." We have had quite a few people think that our prices should be lower whether it be at trade shows or with acquaintances of some of our family members. But thank the Lord there are still some people in this world who know what hard work is and understand the value in healthy animals. I have had some people drive quite a ways for a couple of my rabbits and are very happy that they are able to get such a well cared for, healthy animal! With all that said, that is why I feel that my prices are fair for how much time I put into things. If you are wanting a custom order and you have seen my gallery, I urge you to consider that all I put my time and supplies into will be my best. I try to please the Lord in the things I do and that is why I have may have higher prices then some people think is right for my age... But does it really matter the age or does it matter the experience and quality? Not a big deal!... Right? Wait, let me back up a bit and start from the beginning. We were outside (As always, when the weather is nice) in the back area of our property, close to some fairly dense trees, when I was walking and saw something out of the corner of my eye. It was something that looked like a giant chicken! But it went and perched on a tree? What would look like a giant chicken that flies and perches in trees? Well, I decided to find out... I turned around and had to really look closely because it was so camouflaged! Before I give you the answer let's look at the info we have right now~ We know it flew, perched in trees, and it's wing span was really big. Can anyone guess what it was? I will give you a hint it is the only animal that can turn it's head 270 degrees. He is a Barren owl that has a normal territory of 213-903 acres! Oh, and yeah, they just happen to be invasive and are the main owl that is displacing the spotted owl. They are protected by the Migratory Bird Treaty Act of 1918 which means there really is not a way to get rid of them. While I was doing my research I also found that most owls aren't even migratory birds and that includes the Barren owl... Anyways, enough with all that, let's get back to my story! So, he was perching right next to the rabbits for about a week until he struck! We were, of course, outside again, but we were doing something in the cabin (which is fairly close to the rabbits) when we heard a scream! We came running out and saw him unclench his talons from one of the cages that had a young litter in it and fly away... When I got to the cage everyone was freaking out and a baby was just laying there dead. It had broken it's neck and thankfully it looked like it didn't suffer. Right after that happened we moved the rabbits up to the front of the property so the owl couldn't harm them. Although the owl is still here we have moved them back because the weather has been a little too warm to have them up front... With all that we have learned from this experience we are taking extra precautions to keep them safe. We still hear the owl hooting in the back but thankfully haven't seen him close to the rabbits and have other things that we can still do to keep him away such as having mesh on their hutches and keeping a motion light on by them to detour him. It is a great way to feed animals but I found that is gets to pretty difficult to find a good place to grow large amounts due to how much room it takes up and the environment it needs to be in. I tried it in the house at first and it was working great (other than the fruit flies) for a while until the weather started to really cold and we had the house warmer than usual... Then came the mold! When you have a ton of fruit flies in your room it tends to get very annoying! So I thought that I would try putting then inside of a hoop house with hot horse manure on the bottom creating what they call a hot house and it seemed to work for a bit until I cut one up for the rabbits that was in there for about 2 weeks and there was a TON of mold! So, although the rabbits really liked it I have finally given up the hopes for greens ALL throughout the year. First show ever!... Clear your schedule﻿! At the Evergreen State Fairgrounds Beef Pavilion 14405 179th Ave SE Monroe, Washington. 100% Satins that will be ready around December. 75% English 25% Satin crosses that will be ready in December also. Remember to bring a carrier for your new addition! At first I didn't think that I would use a spindle because I could just use my spinning wheel but... I do!! I spun up some of a fiber batt I won in a raffle at the P.F.F.F ( Plateau Farmers' Fiber Festival) and I LOVE it!!! 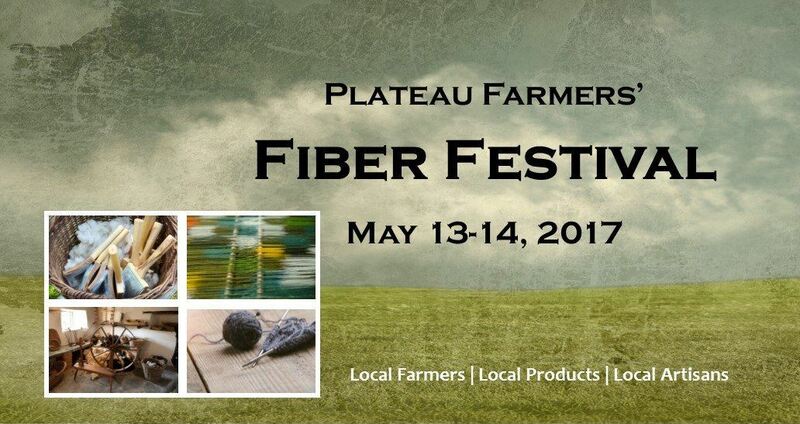 We will be participating in the 2017 Plateau Farmers' Fiber Festival! This is the first year for this fiber event and we are thrilled that it is so close and we can participate! link to Facebook page below! Come see us at the shepherds extravaganza!!! We are planning on participating in the Shepherds Extravaganza this year! Last year we had no time to do any of the events we usually do and we have missed seeing all of our fiber friends! We will have some of our hand dyed fiber batts, hand spun yarns, dyed angora fiber and my brother's hand turned crochet hooks, spindles, pens, yarn bowls and more! So come see us at the spring fair! If you would like to know what we will have at the shepherds extravaganza leave a question/comment below! So our friend Sharon had me do another job for her! This yarn is a cotton%wool mix It is supposed to mimic a uniform from the Confederate States military forces. It had a very short staple length so that was hard to get use to! But it turned out great! She decided to make me a pair of socks out of and they turned out great also!! 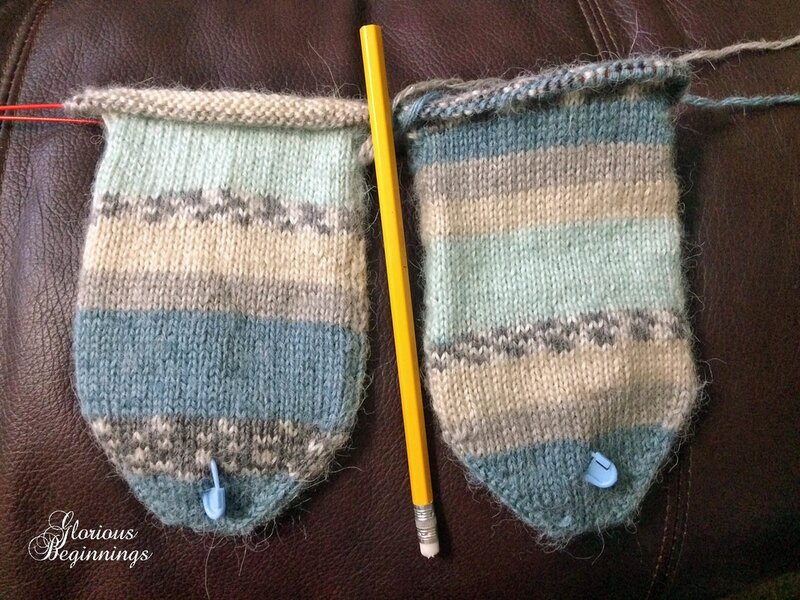 I just finished knitting my first pair of socks and I thought I would start another project! So I decided that I am going to spin all of the super wash I dyed a couple weeks ago, and knit a pair of socks with it! I will ply it with some sturdy mohair singles as my mom and I learned mohair is a great natural option to the nylon in most sock yarns. Just in time for what is supposed to be our first snow tomorrow! Here they are in process...I've been wearing them and haven't taken a finished picture!